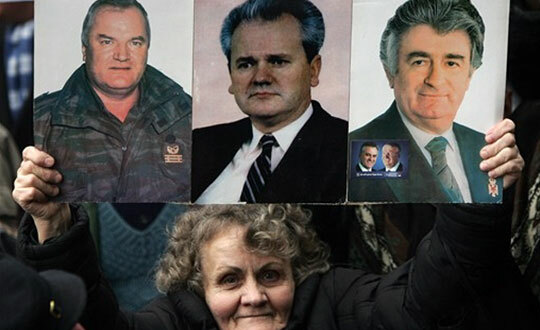 Ratko Mladic will be reunited with his old ally Karadzic. This time it will be at the ICTY, in the Hague. It is no doubt a great day for the ICTY, whose work has been winding down as it prepares to close its operations in the next few years. Mladic’s arrest signals the completion of the ICTY’s trinity: Milosevic, Karadzic and Mladic are the Balkan crises’ “big fish.” Indeed, it is remarkable that the ICTY will be able to say they had custody of every leading perpetrator of war crimes, crimes against humanity and genocide in the Balkans. Regardless of the trials and tribulations that characterized Milosevic’s trial and which may stain the record in Karadzic’s trial, the ICTY will forever be able to say that those most responsible for atrocities in the Balkans were detained and brought to the Court. The Balkan Trinity: after today, each will have been delivered to the ICTY. We are in unprecedented times for international criminal justice. Hardly a day goes by without major news that pertain directly to the pursuit of international justice and accountability. The dream of the architects of international criminal law that justice would be established as the deep grammar of international politics has been increasingly realized. Think of the headlines in the past few months: the ICC in Ivory Coast, Libya, and perhaps Syria; a truth commission for Ivory Coast; Egypt and Tunisia both expressing interest in joining the ICC, etc. Historians will undoubtedly note that at the epicenter, indeed at the very heart, of international politics in 2011 was the pursuit of justice and accountability. Of course, some important issues and questions remain. It is not a foregone conclusion that Mladic will actually sit in the dock at the ICTY. It is to be seen whether he is physically and mentally fit for trial. It is also unclear what the reaction among Serbian nationalists will be. 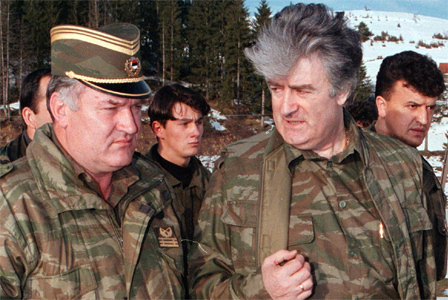 Mladic was incredibly popular amongst his troops. Further, there is still a need to investigate how Mladic managed to hide all of these years and who, exactly, helped him evade the law. Regardless, this is an important, perhaps even watershed moment for international criminal justice. While learning of Mladic’s arrest, I wished that Richard Holbrooke, one of the world’s finest and most skilled negotiators, was alive to see Mladic brought to the ICTY. Holbrooke passed away earlier this year. Holbrooke would undoubtedly join us in celebrating the fact that Mladic’s victims now have the opportunity to see justice done. 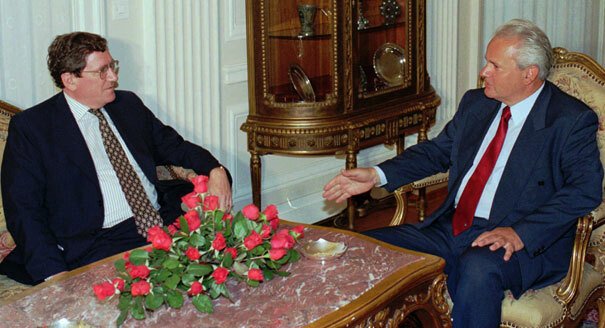 This entry was posted in Balkans, Genocide, Human Rights, ICTY, Peace Negotiations, Serbia, Slobodan Milosevic. Bookmark the permalink. Mark, good article. It is about time he’s arrested. However, you call him the “Serbian architect” of the war. That should be replaced with “Bosnian-Serbian architect” as, unless you believe in Greater Serbia, Bosnian-Serbs and Serbian Serbs are different people. This mistake is made often but it is like comparing a Palestinian to a Jordan and should not be done. A Bosnian-Serb, or Bosniak, is not the same as a Serb. Thanks for the comment and correction, Tully – I’ve made the change.